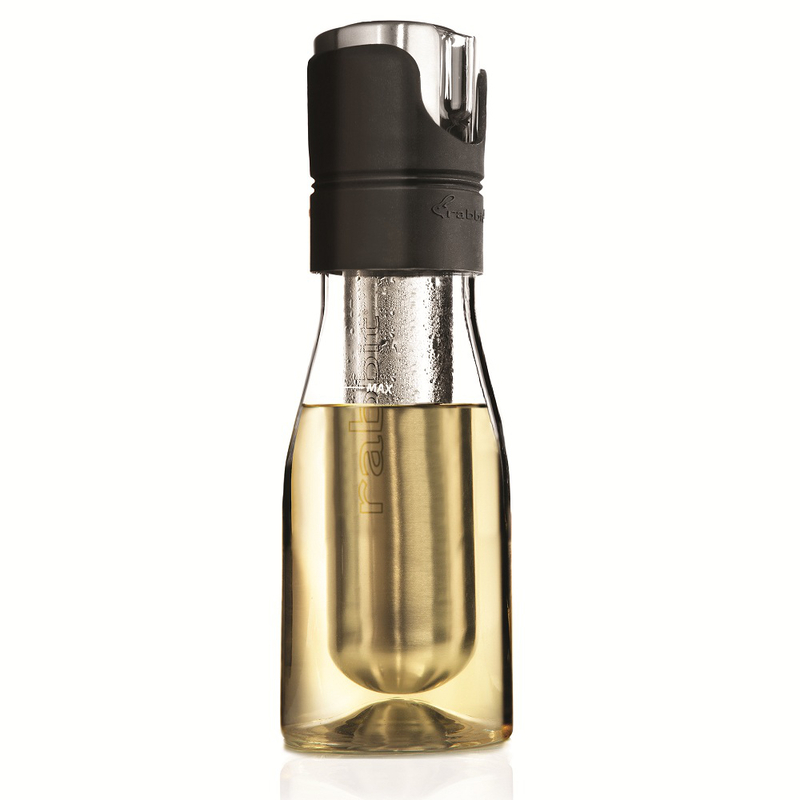 Serve wine at the optimum temperature with the Rabbit wine-chilling carafe. Made from glass, it comes with a black silicone lid that keeps your wine secure. With a highly efficient cold-transferring stainless steel chamber, it works better than glass or plastic and is a more natural way to cool drinks than freezer packs. This carafe will keep an average size bottle of wine chilled for 90 minutes or longer, and it is backed by a manufacturer's five year warranty. Best of all, it is dishwasher safe for easy cleaning.